A few weeks ago I visited the town of Antigua in Guatemala for 5 days. My wife used to live in Guatemala, working for a non-profit organization back in the late 1990’s, and she wanted to show me how beautiful the country is. Of course my wife was absolutely right. The town was colorful and relaxing, people were very nice and the food was delicious. When I in the past heard “Guatemala” I thought of rain forests and hot and humid conditions. But in Antigua the temperature was perfect, about 70° F (21° C) during the day and 55° F (13° C) at night. 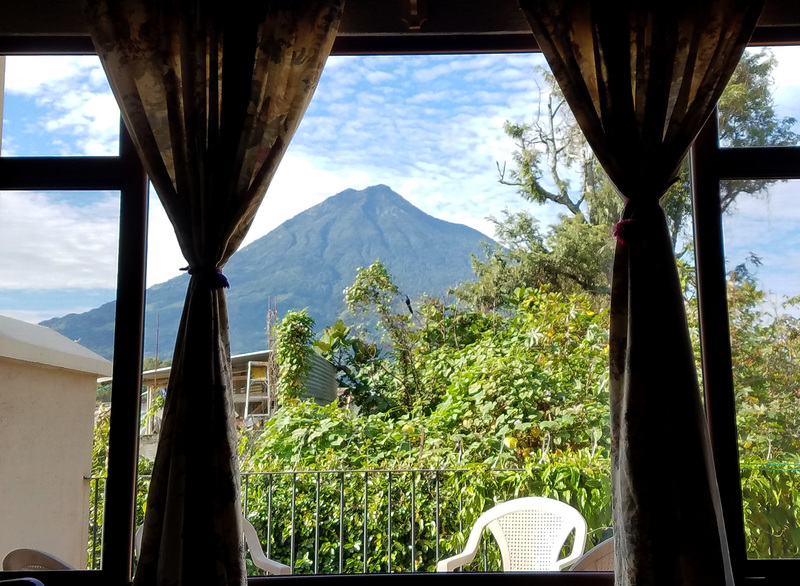 We slept with open windows every night, with a view of one of the nearby volcanoes. No need for air conditioning, we could just enjoy the clean fresh air. But what is really amazing is how resourceful people in Guatemala are. They reuse things in a very clever way, with the most striking being the “chicken bus“, the local transportation system between cities. IC Bus CE-Series body on a mid to late-2000s International 3300 chassis. When American school buses get old they are sold at auctions for a couple of thousand dollars. Many of them are purchased by Guatemalans who drive them down through Mexico to Guatemala. 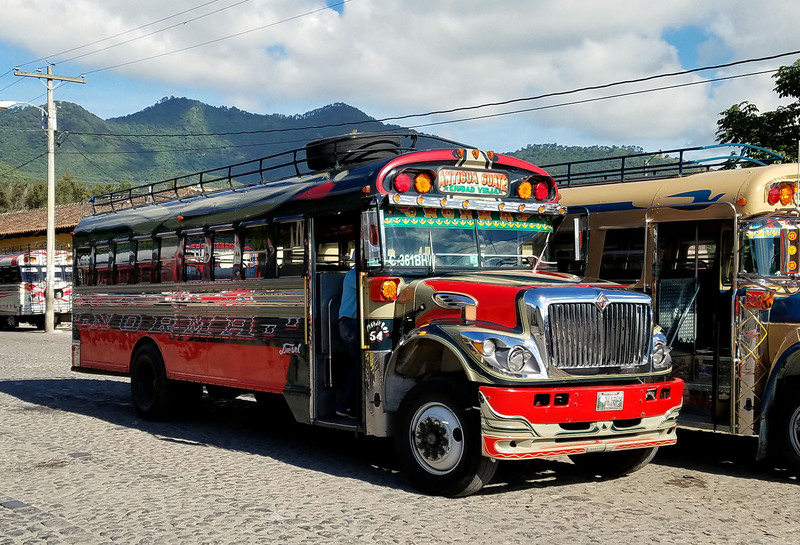 There they are fitted with upgraded powerful diesel engines (often the same ones used to power semi-trucks), repainted and outfitted with additional lights (sometimes neon lights), roof racks for cargo and plenty of chrome. Often they get a new hood from a semi-truck as well. The US truck manufacturer International used to have a truck manufacturing plant in Guatemala, but it was closed down some years ago. This left the country with an abundance of very competent mechanics, especially diesel engine mechanics. They are now passing their knowledge on to the next generation. 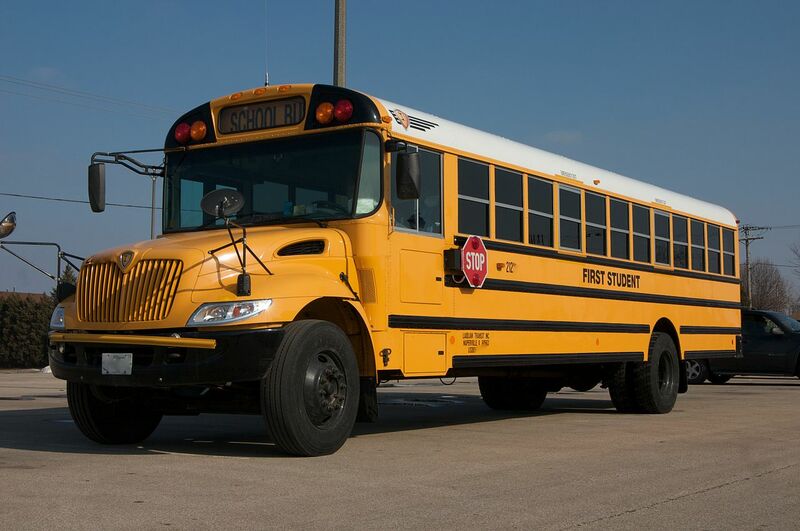 On an interesting note, IC Bus, one of the major manufacturer of the yellow American school buses, is a division within International and the school buses share much of the design with the International trucks. So what does this have to do with IBM Notes and Domino, you may ask? Well, the same way as you can take a boring and generic workhorse like a yellow school bus and give it a second life by converting it into a colorful and useful source of transportation, you can modernize and update your old and perhaps a bit dated Notes application to something new exciting and attractive that your users would like to use. Just like the mechanics in Guatemala replaces the old worn-out engine with a new powerful truck engine, your Domino data engine can be replaced with a new engine, for example from LDC Via, if you want to get away from Domino as a server platform. 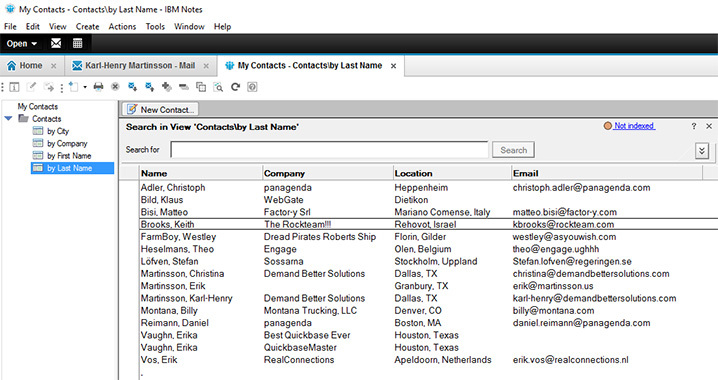 But Domino is a very competent and powerful NoSQL database/server and will work well for most users. So like old worn out yellow school buses, your Notes applications can be given a new life as well and run for many more years, looking attractive and brand new again. At the same time IBM also announced that they now will start shipping new features for the products in the Notes and Domino product line without changing the version number like before. In the past only bug fixes were shipped between version in so called “fix packs”. Any new features had to wait until a new version was released. 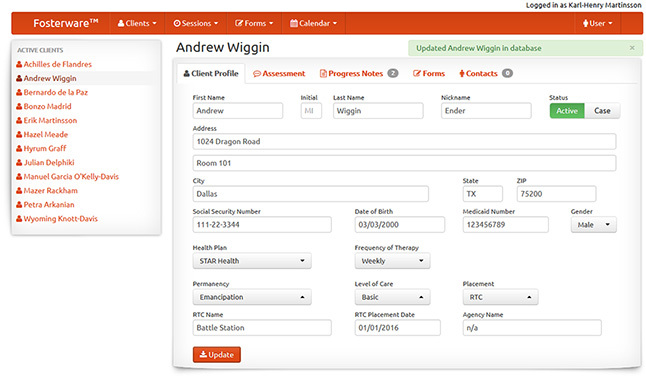 But recently some new features have been added as well, causing some confusion. In the future IBM will shift to more frequent updates , using the name Feature Packs. Many cloud offerings don’t even do version numbers anymore (what version of Gmail are you using? ), and Microsoft is doing the same thing with Windows 10, pushing out new features within the same version number. Also today IBM announced Fix Pack 7 (FP7), probably the last fix pack version before the name change to Feature Pack. It can be download as of today. You can read more about what is new here. In an upcoming feature release IBM is expected to update the JVM to Java 8, as well as add new functions needed for Verse on-promises which is planned for release at the end of the year. I have been very busy ever since the MWLUG conference in Austin, but now you can finally view my presentation and download the sample code. Enjoy! I will post the code for my Phonegap Demo next week. Reminder: you need to sign the database (or at least all the agents) with an ID who has the rights to run agents, or the Ajax calls will not return anything. If you are interested in having your Notes applications modernized and moved to the web, feel free to contact me at karl-henry@demandbettersolutions.com.